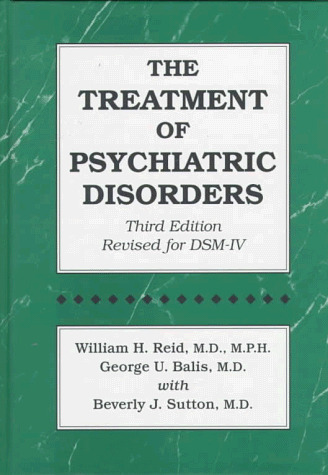 This is the third edition, revised for the DSM-IV, of the one volume, standard, comprehensive text on the treatment of psychiatric disorders - spanning the biological, psychological and psychosocial. ; Updated and revised, this book is the result of several thousand studies, clinical reports, and reference works. Information is specifically coordinated with the DSM-IV, and the authors' discussion reflects what is currently known about standard treatments as well as many of the more esoteric therapies.